BAA wanted a way to cut through the negative headlines - so Mishcief PR brought in a resident philosopher. In the summer of 2009, Heathrow Airport appointed its first writer-in-residence to tell the story of the airport, its staff and passengers. - To provide a story about Heathrow that moved away from the traditional coverage of things going wrong at the airport. The reputation of Heathrow had been primarily formed by bad news stories about things going wrong, such as the Terminal Five opening. BAA wanted a campaign to give a genuine reason for people to reconsider the way they think about Heathrow. Mischief persuaded BAA to appoint the first airport writer-in-residence to tell the story of a week at Heathrow. The resulting book would aim to capture the emotion of the airport, the people who work there and the 67 million passengers who pass through it every year. A brief was issued to various authors and respected philosopher and essayist Alain de Botton was appointed. He was given unprecedented access to all areas of the airport and full creative control over the finished book, giving credibility to the product. 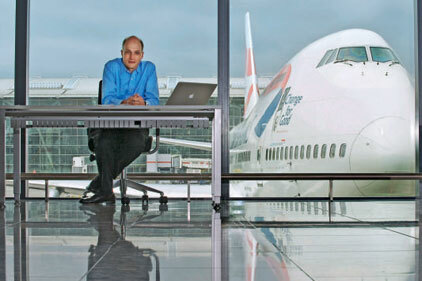 De Botton met with passengers and airport staff to enable him to capture the human story of the airport. Most of his time was spent at a writing desk in Terminal Five, providing passengers with the opportunity to end up as characters in the book. A Twitter feed was set up so people could monitor the writer's progress. Extracts of the book were read over the airport's PA system and 10,000 exclusive copies were given out free to Heathrow passengers before going on general sale. The entire process, from recruiting the author to publishing the book, was completed within eight weeks. The story was covered in more than 300 national and international newspapers including The Guardian, The Times, The Daily Telegraph, Le Temps, International Herald Tribune and El Pais, while an eight-page feature appeared in The Sunday Times. More than 50 broadcast interviews were set up during de Botton's residency including with BBC Breakfast, BBC Radio 4, CNN, BBC World Service and Sky News. The story also appeared on websites such as trendhunter.com and springwise.com and generated positive conversations about Heathrow. A Week At The Airport: A Heathrow Diary reached number 48 in the Amazon book chart just two days after launch. It is now being sold in more than 50 countries worldwide and in all major international airports. In the UK, the book has sold more than 41,000 copies. Sitting in Heathrow Airport without actually having anywhere to travel makes you look at the place in a completely different way. Suddenly you see hundreds of staff and passenger stories taking place in front of you. The book was published as a media platform to tell those tales and recount the real story of Heathrow. In a world where people are too busy to stop and think about the wonder of air travel, the book creates a personal relationship with the reader, which reminds us all to appreciate the amount of effort and expertise that goes into operating the world's busiest airport. The aim was never to get people to love Heathrow, but to encourage them to reconsider the way they think about it. The positive media coverage, change in online sentiment and ultimately the high global demand for the book all suggest we are achieving that. We are not telling people what to think; we're giving them another side to the story of Heathrow and letting them draw their own conclusions. And it's an example of the Mischief approach to PR. We don't simply relate information to the public and hope they believe it. Instead we create reasons for people to talk about brands, and through their online or offline conversations they think and act differently as a result. A Week At The Airport: A Heathrow Diary is available through all good bookshops, and is a thoroughly excellent read - although I would say that, wouldn't I? - Campaign has won awards including the Travel Marketing, European Excellence and the PRWeek Awards 2010 Live PR Event.